as a positive way to bring the community together. On the third Friday of each month we invite you to join us for great coffee, great conversation, and a chance to hear great news about Arcadia. This event is FREE for everyone! Come and join us! Our Coffee With the Mayor Event happens every 3rd Friday of the month. ​Please check out our Facebook Page for the upcoming date and event venue. 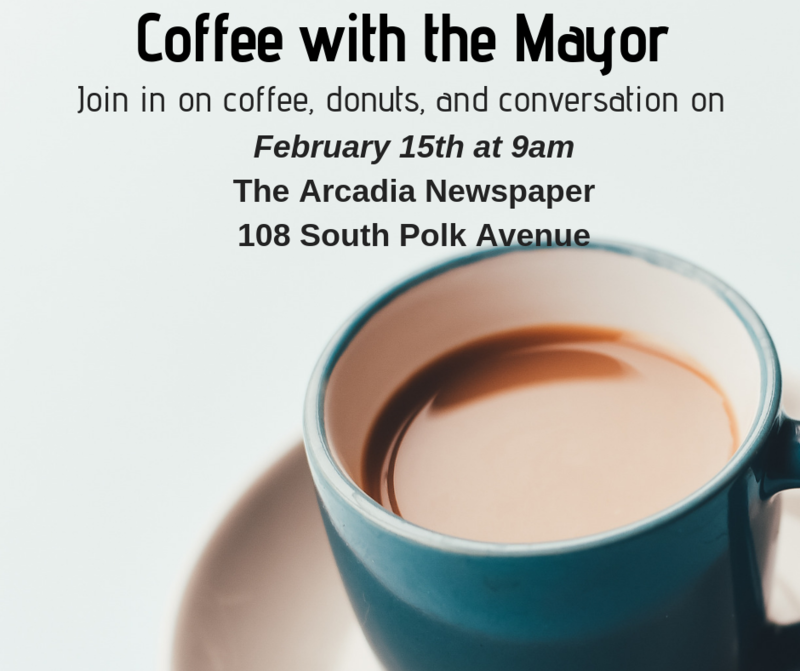 To host a Coffee with the Mayor event, please contact us.